A far cry from the portentous, franchise-driven blockbusters of today, the oeuvre of Jaume Collet-Serra is one of effectiveness and impacts. In the vein of the classic form of the auteur theory – the manifestation of recurring visual and thematic motifs in a blatantly commercial setting – Collet-Serra has established himself as someone capable of churning out incredibly well-made, visceral mid-budget pictures. His career so far has followed two paths, the first of which is horror, represented by the very fun 2005 remake of House of Wax, the utterly masterful Orphan, and the elementally constructed The Shallows. But the aspect more germane to this review is his series of action films with the resurgent Liam Neeson, all of which are tense and subtly playful works that use restrictions – physical, temporal – for maximum effect. With The Commuter, this standard has been maintained, albeit in a more crowd-pleasing and unabashedly conventional format. Our Neeson hero this time around is Michael, an ex-cop turned insurance salesman that has taken the Hudson Valley line to Grand Central Station every day for the past ten years. On the way back from being fired, he is approached on the train by a mysterious woman who calls herself Joanna (previous Collet-Serra collaborator Vera Farmiga). In an astoundingly dynamic, extended conversation, the self-described people observer slowly tempts Michael into accepting her offer of $100,000 to find a particular, unfamiliar passenger on the train. As motives are slowly revealed and identities are unmasked, Michael uses his particular set of skills in judicious fashion. This scenario is closest to what is his perhaps Collet-Serra’s finest film yet, the airplane-set Non-Stop, but the stakes are delineated in sharply different ways. While Neeson was an air marshal in that film, he is clearly set as an everyman, concerned first and foremost with wrestling between his desire for the money – his son is about to go to a college that he can’t afford – and his burgeoning conscience. Collet-Serra takes care to set him against the massive melting pot that is the collected inhabitants of New York City. Especially in the first act of the film, the cars of the train are crammed, and even as more and more passengers exit the almost stage-like confines, there are more than enough riders (and potential targets). It is worth noting the touches that, at first glance, are not typical of Collet-Serra. 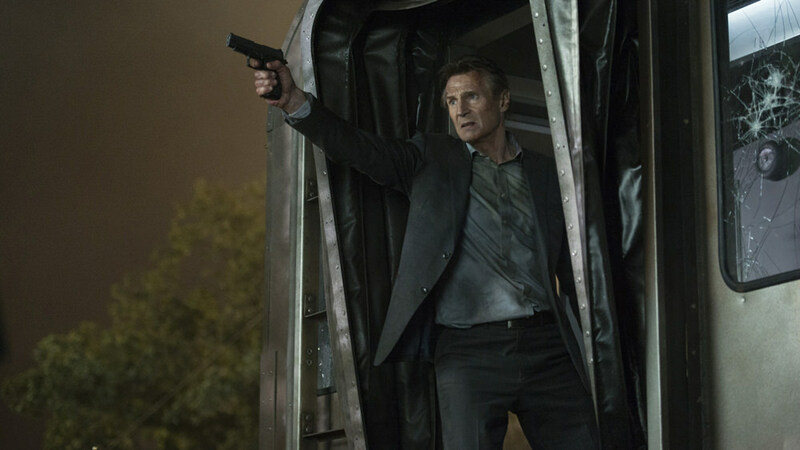 Though his films have never been anything approaching dour or self-serious, they have always been relatively sober affairs, especially his previous Neeson collaboration Run All Night. Not so with The Commuter: it boasts at least a few moments of laugh-out-loud comedy, including a delicious flipping of the bird to an arrogant broker, and the eventual derailment of the train is handled with, if not excess, then a flashiness that is atypical. But in conjunction with this seeming kowtowing to the cultural taste for destruction comes an even greater manifestation of Collet-Serra’s ability to create impact with every single scene. Here, his mode is that of destabilization, of which the opening salvo of an utterly disorienting montage, cutting back and forward in time over a decade of early morning routines, is but the first of gambits. A noticeably shaky use of handheld, impossible CGI tracking shots through the entirety of the train, motivated uses of slow-motion, a bravura one-take fight scene, even an honest-to-God Vertigo zoom: all of these are in Collet-Serra’s toolkit, and he integrates them with his precise style perfectly. If The Commuter is an example of a director’s style triumphing over the standard content that he is given, it matters little: it is genuine and fun, done with a love of craft and film that is nothing short of intoxicating.